This round pliers was designed so that you could make the same diameter loop every time. There are 3 grooves in the pliers that allow you to use the same groove every time. Nice for chainmaille, jewelry design, wire wrapping, jewelry repair. for crimping stainless steel crown and preformed bands. 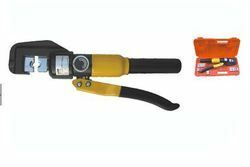 We are involved in offering high-quality Crimping Plier to our valuable customers. In order to keep pace with the never ending demands of customers, we are involved in offering wide range of Crimping Plier. Since commencement, our company has set benchmark in offering Crimping Plier. Leading wholesaler & trader of crimping tools, crimp plier. We are specialized in offering Cable Crimping Pliers to our customers. Our presented product is extremely used in the market owing to their top features. 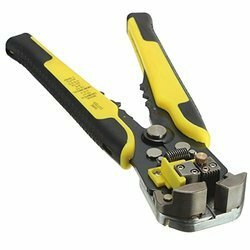 With the involvement of modish technology, latest machinery and advanced tools in all our processes, we are occupied in offering Manual Crimping Plier. We bring forth vast industrial experience and expertise in this business, involved in offering high quality range of Manual Crimper. Made from heavy gauge carbon steel heat treated to HRA 65/70. Chemically blackened with cushion grip handles for operator comfort.